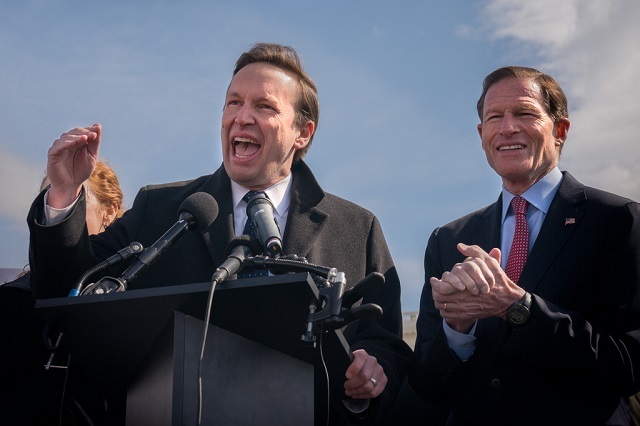 Democrat Chris Murphy reacted to Big Tech's coordinated banning of Infowars by demanding more censorship across the board, insisting "the survival of our democracy depends on it." "Infowars is the tip of a giant iceberg of hate and lies that uses sites like Facebook and YouTube to tear our nation apart," Murphy wrote Monday on Twitter. "These companies must do more than take down one website. The survival of our democracy depends on it." Democrat Seth Moulton of Massachusetts, while claiming to support free speech, also cheered the banning of Infowars and made up fake news that Alex Jones was "inciting violence," despite every site saying they banned him for his speech. The Democrats' plan for internet censorship leaked last week and it showed they wanted to effectively eliminate all anonymity on the internet. Big tech is sacrificing their own platforms just to rig the midterms for the Democrats and try and crush out populist revolution. We need to show up in force, vote Republican and demand the GOP move against these Big Tech companies. ...Danny O’Connor is a total puppet for Nancy Pelosi and Maxine Waters – Danny wants to raise your taxes, open your borders, and take away your 2nd Amendment. Vote for Troy on Tuesday!